“Thank you,” I said to the nice young lady last week as she slid my coffee cup across the counter. “Oh, no problem,” she replied. This is only one example of popular modern quips which will not work in fundraising. Entry-level fundraisers generally stay in a new job for 16 months, according to The Chronicle of Philanthropy. Because of budget constraints and small staffs, new employees quickly begin to interface with donors. Therefore, training is constant and best when it begins at the most basic level – gratitude. 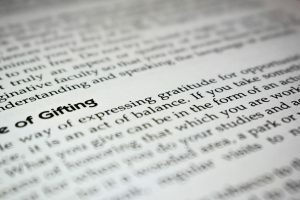 To ensure gratitude is part of all communications here are suggested replacements for four popular responses which don’t work in fundraising because they don’t cause the donor to feel special, to feel appreciated! 1. “No Problem” – I’ve already talked about how this response makes me feel. Fundraisers, please allow me to be literal for a moment: Do you really think the donor is worried? Isn’t it our team, our non-profit organization, which needs to raise more money year over year? In my experience, most volunteers don’t want pressed wood plaques or mass-printed certificates. They want to feel appreciated for their ideas, recommendations, gifts, and hard work. Psychologically, once again you’ve put the client, the donor, the sponsor, in the driver’s seat. Gratitude is a popular topic today. A quick google search reveals hundreds of books and articles – all written in recent years. This makes the conversation with the fundraising team even easier. Language, communication, and style – even in donor texts, emails, and quick calls – is determined by the audience. Ours happens to be people who give us money they could’ve used to go to the Bahamas or buy a new car…. In other words, our world lends itself to deep and authentic gratitude. 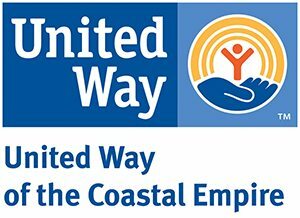 I’ve been told by donors that I’m “too formal,” but millions of dollars later, old-fashioned gratitude with all its staid guidelines remains my conventional standard for fund solicitation and stewardship. Try it. I believe it will work for your team as well. Want a professional perspective on your project? Contact Phoenicia. Watch a sample of her work here! Discover more simple, experience-based fundraising tips, by Clicking Here. To share feedback on this post, email PMiracle@MiracleStrategies.com or post to my Facebook page. To get winning, donor-centric, goal-focused fundraising & marketing tips delivered directly to your inbox sign up here! It’s easy! Complete our CONTACT FORM. Do you have a strategy to grow awareness and increase giving to your mission? 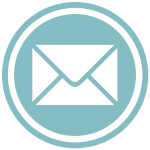 Sign up and get the latest posts on fundraising for nonprofits, directly to your inbox.